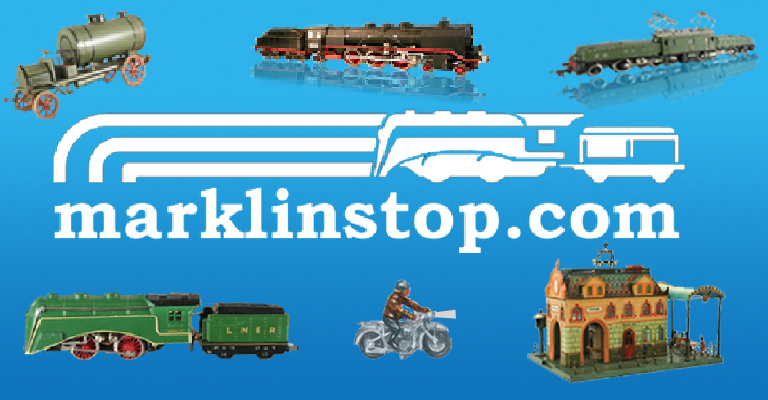 The MarklinStop.com website is produced by Paul as a hobby project to circulate information about Marklin trains and the history of the Marklin company. A team of moderators, authors, and participants also help run the website and make it fun and enjoyable. My mission (along with many other collectors and enthusiasts on this site) is to look at Marklin not only as a toy manufacturer, but a thread in the last 150+ years of history. A discussion about Marklin might on the surface be about toys and trains and at a deeper level be about the devastating impacts of war, the survivability of businesses, or the economics of collectibles. That is not to say one’s hobby of collecting toys must deal with such deep and heavy discussions but certainly these things are interesting to think about and add a level of complexity to the toys and trains we collect and enjoy. Do you know of any repair service for Marklin locaten in New York, U.S.A. or near ? Where might I be able to purchase parts ? The Märklin website has a great list on their website with authorized repair dealers by state. I stumbled upon your website during a ‘google’ search and I hope the site goes well for you. I was particularly interested in the information about Marklin literature printing codes. Just this weekend I decided to record all my various printed items into a spreadsheet, mainly so I would have a record of them, but also to help sort out any duplicates and just because I foun dit an interesting (and relaxing) exercise. Thankfully, I decided to include a column for the printers code, having already known it contained the printing date, and that the other characters had relevance also. Now having found your site this evening and with around 70 items in my list, those codes make much more sense, but some are also a bit odd and it seems Marklin was not always consistent with the use of those codes. For example, the 1991 Export Items brochure code is “17590 – MYM 06 90 fi”. MYM would indicate a large number of printings, 434,000 ?? And I think fi is the printer “Fisk” who’s name I’ve seen a few times. But then the code for the brochure for the 2 Live Steam models (G1 Lok and the repro Dampfmaschine) has the code “172725 – 05 2004 gö”. No letters from the ‘toymarklin’ prefix. This kind of minutae absolutely fascinates me. I’d never really considered myself a ‘collector’ but over 30 years it’s surprising what you accumulate and I guess I’ve started to identify specific things that capture my imagination. Start sets (proper older ones, with track etc) are an interest, particularly getting photo’s of them as close to original as possible for comparison and help if I acquire a start set and want to get it back to as close to ‘ex-factory’ as possible. Very interesting! I am glad you were able to find my site and use it as a resource. I am not sure of the recent printing codes you have mentioned, they seem much more complex than the ones used in the 30s, 40s, and 50s. I will look into it and see what I can find!